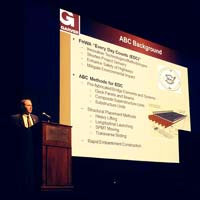 Garver Bridge Team Leader Jason Langhammer recently addressed attendees at Auburn University’s 57th annual transportation conference to discuss accelerated bridge construction (ABC) methodology and the success of its implementation for the replacement of the Cottonwood Creek Bridge in Creek County, Okla. The use of ABC methodology for the Cottonwood Creek Bridge will improve workzone safety while eliminating the need for temporary roadway construction and minimizing environmental impacts. In addition, traffic impacts and associated user costs are greatly reduced. “Considering the expenses attributed to user delay and fuel costs, it's estimated that motorists and the state's economy will save approximately $2 million [at Creek County]," Jason said. Bridge construction is currently in progress, and includes two main phases. In the first phase, the new substructure elements will be constructed under the existing bridge, then the temporary supports and the proposed superstructure will be constructed adjacent to the existing bridge while it remains in service. Once completed, the second phase requires a short term detour in order to demolish the existing bridge, sliding the new bridge into its permanent location, and performing final bridge and paving connections. 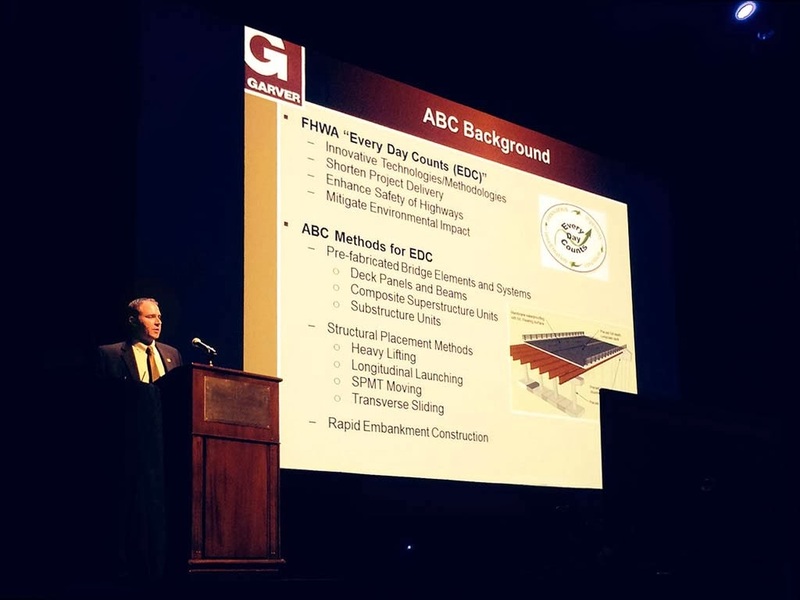 Garver is using innovative methodologies to shorten project delivery, enhance the safety of highways, and mitigate user and environmental impacts.